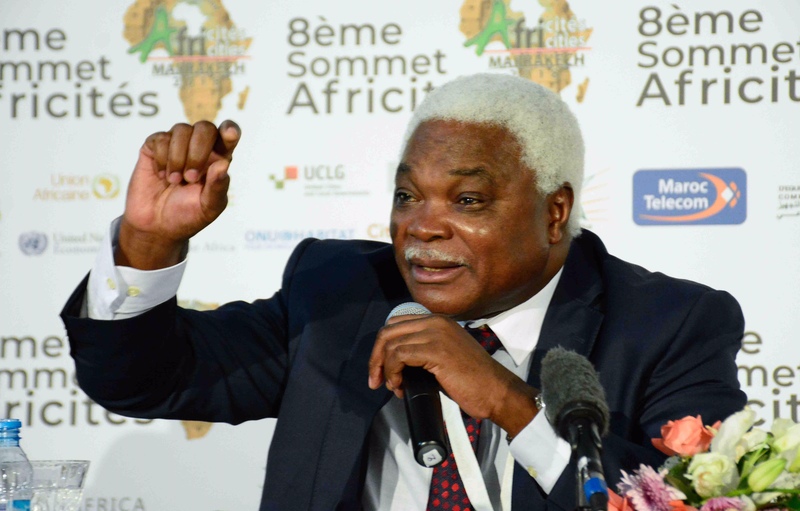 Several topics were at the heart of the daily meeting of Jean Pierre Elong Mbassi with the accredited press at the Africities 2018 Summit: the partnership with UN-HABITAT for the benefit of African youth; Africapolis, developed by the Sahel Club OECD; and the announcement of the Mayors of the United States of America, were among the themes mentioned. “ If African-Americans were a State, they would become the 8th world economy.” It is this economic and technological power that intends to return to Africa, with its technologies and its purchasing power, one of the highest in the world. Today, Africa is facing a demographic transition whose good management and focus on sustainability is essential for a safe world. This contribution of “Africans kidnapped from their home continent,” as Jean Pierre Elong Mbassi says, will be decisive for the sustainable development of the cities and territories of Africa and the future of the planet. This is why the Secretary General of UCLG Africa invites local governments to a great mobilization to make of African cities “doors to the return”. The Africities Summit was an important moment for the Paris Accord. Despite the provisions of this agreement, which is difficult to apply, the planet is still not out of the woods. This is why UCLG Africa launches the contribution of local elected officials through grassroots initiatives to reduce global warming forecasts to 1.5 ° degrees Celsius. Africapolis was also presented so that local authorities interact on this database to improve it. The question of African youth has not been overlooked. With U-HABITAT, UCLG Africa is setting up a program for the full development of young people of the continent while integrating them into the future of territories.